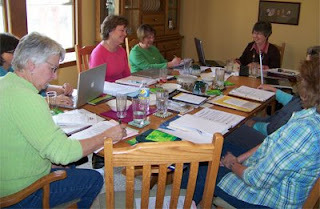 The Women of Grace USA board of directors is meeting today through Saturday in Medina, Ohio. Board members include Janet Minnix (Roanoke, Va.), Cindy Bushen (Warsaw, Ind. ), Chery Boehm (Macedonia, Ohio), Sharon MacMillan (Tracy, Calif.), Kaye Kessler (Medina, Ohio), Linda Michael (Martinsburg, W.V. ), Miriam Pacheco (Winona Lake, Ind. ), and Viki Rife (Warsaw, Ind. ).